Samsung is well known for mocking Apple in its adverts for its smartphones, the company has released a new advert for their Galaxy S5 smartphone, and this time they are mocking the iPhone 6. The iPhone 6 is said to come with a larger display, there will be two models, one with a 5.5 inch display, the other with a 4.7 inch display. The Samsung Galaxy S5 comes with a 5.1 inch display, and they are basically saying that people waiting for the iPhone 6 are waiting for something that has been around for a while, have a look at the video below. You know that thing you’ve been waiting on for like two years and how it’s supposed to be awesome and how it’s going to blow your mind? Well, it’s been here this whole time. But maybe you just like waiting. Samsung has used these tactics in their adverts in the past, where they featured Apple fans waiting in line outside an Apple store waiting for the new iPhone to be released. 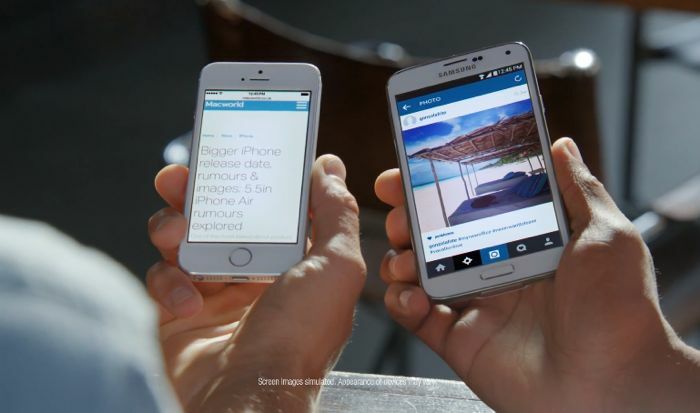 We wonder if the latest Samsung Galaxy S5 advert will help Samsung sell more Galaxy S5 devices, sales of the handset are reported to be lower than Samsung have expected, as the company is facing competition from the likes of the HTC One M8 and the LG G3.